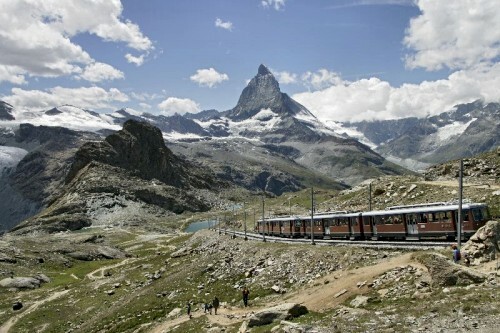 On Friday, 5 June 2015, the Gornergrat Festival takes place with the theme, “Matterhorn Whymper Pass: the somewhat different first ascent.” Invited mountain guides travel to Gornergrat together with their guests in order to be the first to enjoy the benefits of the Matterhorn Whymper Pass. In order to honour the first climbers of the Matterhorn, the mountain guides and their guests will appear in an old mountaineer gear. Follow this link for further information ….